I’ve never been a particular fan of still lifes. But The Phillips Collection’s current exhibit Object as Subject: Photographs of the Czech Avant-Garde might just change my mind. It’s a small showing, highlighting some thirty photographs from the 1920′s and ’30′s. Apparently Prague was second only to Paris as a major center of surrealism, and that movement’s influence is strong in the exhibit. Heavy on striking geometric shapes, these photographs provide mini-lessons in composition and light. Not to mention, everything looks kind of like a crazy industrial album cover. I kept thinking – I really need to visit Prague someday! There are ten photographers represented here, including Jaromir Funke, Jaroslav Rossler and Josef Sudek. The influence of Man Ray is keenly felt as you walk around the room. There’s some dabbling in photograms and a few dips into advertising with bottles of perfume taking on architectural heft. 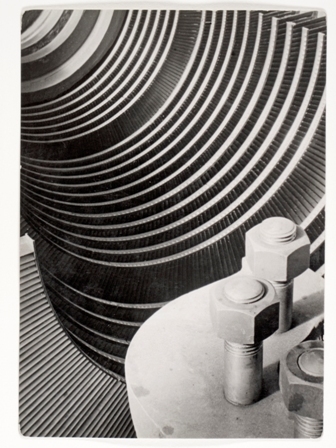 Jaroslav Rössler, "Paris 33" Gelatin silver print, printed c.1930. From the personal collection of Howard Greenberg, NYC. 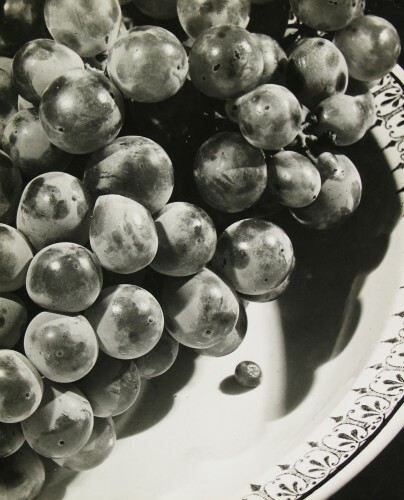 Jaroslav Rossler, "Untitled (grapes)" Gelatin silver print, printed c. 1929. Courtesy of Kicken Berlin OHG, Berlin / Howard Greenberg Gallery, NYC. Again, this is a small exhibit, just one room. 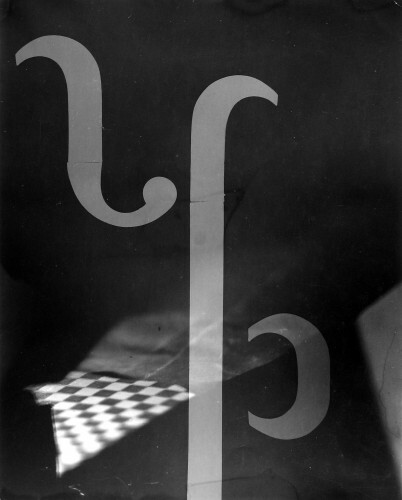 But it’s nicely edited to give you a taste of the early Czech avant-garde photography movement, a springboard to go off and explore further works of that era and beyond. For example, after a period of inactivity Rossler would reinvent himself in the 1950′s with informalism. Josef Sudek would later become known for his night studies of Prague post-WWII. I’m certainly inspired to learn more. On Thursday, January 28 at 6:30pm you can hear Andy Grundberg, chair of photography at the Corcoran College of Art and Design, explain how modernist ideals spread across different cultures and how this still reverberates in art today with his lecture Czech Modernism from a Postmodern Perspective. Object as Subject is on view to February 7.